The mechanism for special representative-level talks between the two south Asian giants instituted in 2005 has played a major role in averting a flare-up so far along the 4,057-km-long disputed border. 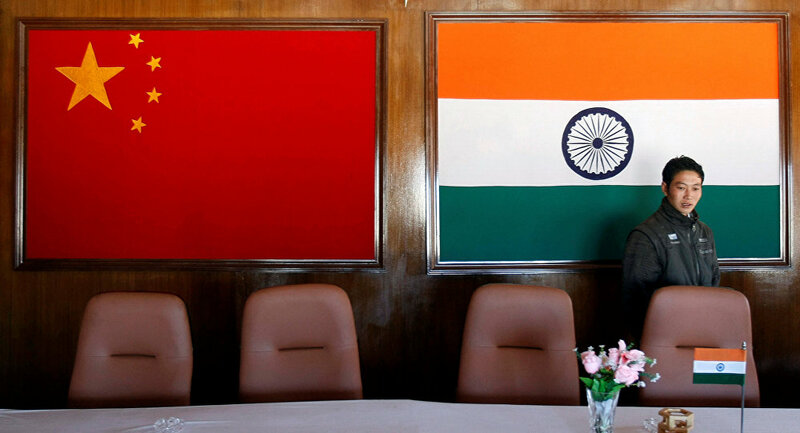 NEW DELHI (Sputnik) — India and China are gearing up for the 20th round talks to resolve the boundary issue. The previous round of talks was held in Beijing in 2016. China's special representative Yang Jiechi will visit New Delhi next month for the talks. The Indian side will be led by National Security Advisor Ajit Doval. India and China share a long 4,057-km-long border which is disputed due to the differences in perceptions between the two countries. Transgressions and border skirmishes happen at regular intervals but both sides have refrained from a full-blown confrontation with the resolve of sorting out the dispute through peaceful means. "India has always maintained that peace and tranquility at the border is necessary for a better and stronger relationship. The current SR talks will be crucial as it will be held in the backdrop of the Doklam standoff. Therefore, it is necessary for both India and China to agree on a common approach so that these types of border standoffs should not happen in future," an expert on South Asia affairs, Prof Sudhir Singh told Sputnik. During the special representatives' meeting in 2012, it had been decided that boundary disputes at trijunction points with Bhutan and Myanmar would be addressed in consultation with third parties. But China tried to change the status quo at the Doklam trijunction with Bhutan unilaterally, promoting India to deploy its troops in the area, triggering the recently resolved standoff.